« Your legacy is our future! Since my initial couponing blog in June, Tri-Lakes Cares has been receiving coupon inserts. Thank you so much for helping get this project going! In addition, in late June I approached my principal, Mr. Seann O’Connor, at Lewis-Palmer Middle School about having students participate in this project during the 2016-17 school year. Throughout my experience at LPMS, I have found students, parents, and colleagues to always be genuinely interested in ways we can support others in our community. This coupon project and partnership with TLC will provide LPMS students with an invaluable community service opportunity. This kind of undertaking requires volunteers and time to cut, sort, and organize the coupons to help coupon distribution be more efficient, and I know our students will rise to the occasion! I will begin offering couponing classes at the end of August at TLC to anyone interested in learning how to coupon. The focus of the initial classes will be for beginning couponers. The most important part of couponing is getting started. 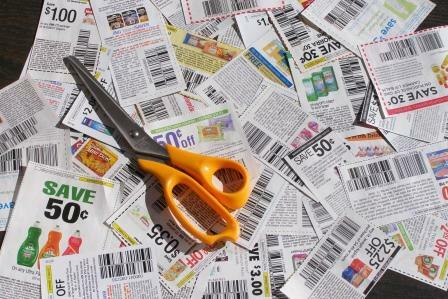 As one gains experience in couponing, it becomes easier to be more effective and efficient. One simple couponing strategy that I use as often as possible is to focus on purchasing items that are on sale and I have, or can, obtain a coupon for those items. Of course, it’s not possible to buy every item that way; however, targeting sale items helps narrow the focus when it comes to finding and using coupons. Having a partner to coupon with is also helpful – both in gathering coupons and also when doing the actual shopping. Having both a navigator and a driver when shopping makes couponing less stressful and the shopping trip more efficient. I look forward to sharing my couponing knowledge and helping others in the Tri-Lakes community save money. Coupon Classes: First Class on Monday, August 29 @ 7:00 p.m. The initial class will accommodate 12 people. If more than 12 people are interested, we will open a second slot at 7:30 p.m., also for 12 people. Each class will be 30 minutes. It will be an introduction to couponing with future, additional classes for those who might be interested in learning more. You are asked to bring a copy of an average grocery shopping list – what items to do you buy most consistently? Michael will use your lists as examples along with grocery store sale inserts and coupons to show how much you could save.